1797 was the year that the first top hat debuted on top of a haberdasher’s head; the year that poet William Wordsworth was suspected of being a French spy whilst the war with France raged on; the Bank of England issued the first one-pound and two-pound notes, and the year that Birmingham took another step forwards on its journey to industrial transformation, and secured its place in coin minting history. The Royal Mint in London had held a monopoly on producing coins since the middle of the 16th century, with coins only being struck in other parts of the country during national emergencies like the Civil War. Matthew Boulton, born and bred Birmingham industrialist with a vision for the future of steam powered machinery, was keen to change this. During the 18th century small value coins, like pennies, were frequently and easily counterfeited. Boulton believed this harmed business and he was certain he could do something about it. He wanted to begin minting coins at his Soho Mint manufactory where he had been making coins for the East India Company, employing the latest technology. In 1797, he was awarded his first Regal Issue and that same year, he introduced the Cartwheel Penny, a counterfeit-proof coin, out into the world. He became known as ‘the grandfather of modern coinage’! We are therefore excited to learn from burial registers, that there was a burial vault located at Park Street burial ground bearing the name of an ancestor of the Boulton family, giving our archaeologists an interesting avenue of enquiry as we bring the archaeological and historical records together. Our archaeologists are regularly uncovering casual finds at Park Street. These are items that have been lost or in some way ended up in the burial ground but don’t directly relate to the burials themselves. They include coins in circulation at the time Boulton was creating his famous penny. Archaeologists often use coins to date archaeological features. 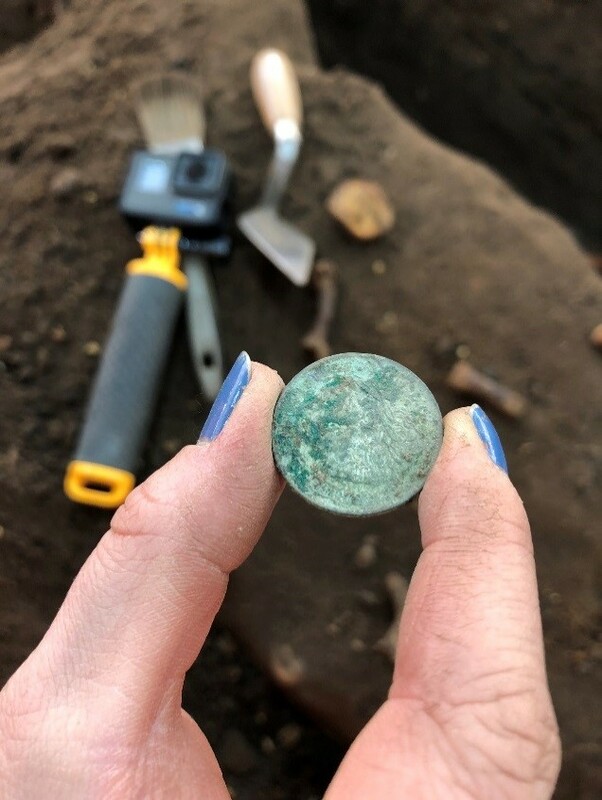 From the Romans to the modern day, we’re able to use coins to pinpoint moments in history and better understand what was happening in a particular place at a particular time. Populations throughout history have created and modified currency, tried to prevent counterfeiting and developed new styles which tell their own story of Britain’s past. We know a lot about Park Street from historical records, but these coins help us to make connections with the development of this fascinating city. To find out more about the HS2 archaeology programme visit www.hs2.org.uk or for information on what is going in the Birmingham area or how you can get involved head to https://hs2inbirmingham.commonplace.is/. Explore the archaeology programme on social media with the #HS2digs.